In the decade-and-a-half leading up to Mikael Backlund's rookie season in 2010-11, the Calgary Flames missed the playoffs eight times and were eliminated in the first round in six others. It's not a coincidence that over a parallel stretch from 1993 to 2006, the Flames drafted and developed into their line-up only two bonafide NHL centres. And at that, Clarke Wilm (1995, 6th round) and Matthew Lombardi (2002, 3rd round) -- while serviceable fellas, aren't exactly of the ilk that you build a franchise around. Thus, it is no surprise that given the opportunity Friday night to make it two potential superstar centres drafted in as many years, rookie Flames general manager Brad Treliving strolled up to the podium and without a sliver of a doubt, called out the name Sam Bennett. "Sam's a guy we had our eye on from Day 1," Treliving told The Canadian Press. "He has a special combination of skill, speed and I've talked about this since Day 1 — the character, the intangible pieces, this guy oozes character, plays with an edge." If you look around the league at the teams that have been successful lately, they all have highly-skilled homegrown talent up the middle that are the foundation of the team: Jonathan Toews in Chicago, Anze Kopitar in Los Angeles, Sidney Crosby in Pittsburgh, Ryan Getzlaf in Anaheim, Patrice Bergeron and David Krejci in Boston, and Logan Couture in San Jose. And these aren't lucky finds you uncover late in the NHL draft either. All of the above were first round picks with the exception of the two Bruins, who were taken in the second round. "He's a 200-foot player, plays in all three zones, he brings pace, he brings offensive ability, he brings speed and plays for keeps. This guy is a competitive player," Treliving said. Bennett is a player with the type of potential Calgary has never had. Fortunate to get him at No. 4, he finished the year as the No. 1 ranked player according to NHL Central Scouting. Remember that the Flames have never drafted in the top five before. Up until Friday night, Daniel Tkaczuk -- the third ranked North American skater according to Central Scouting's final rankings in 1997 (and considered fourth overall with European skater Olli Jokinen rated higher) had been the most highly-touted Flames draft pick in Calgary's previous 34 years. With just two years in the OHL so far compared to the three years Sean Monahan had played, and as a young 1996 year-of-birth, it wouldn't surprise me at all -- despite how determined Bennett is to make the Flames next season, that he is returned to the Kingston Frontenacs for one more season. Treliving has talked at length about his philosophy of not rushing players. Besides, more grooming under the leadership of Kingston general manager Doug Gilmour wouldn't be a bad thing. But after that, expect him to pull on a Calgary Flames uniform for good in 2015-16. "I've heard so much about how much the [people of Calgary] love hockey and the city," Bennett told The Canadian Press. "And the great management there has me really excited. To have that come true now ... it's just unbelievable." For Flames fans, they can salivate at the thought that in the very near future, their top three centres could be Monahan, Bennett and Backlund -- all Calgary draft picks. That hasn't happened since the early 90s when Calgary had Joe Nieuwendyk, Theoren Fleury and Robert Reichel up the middle. Hockey pools, hockey drafts, fantasy drafts. Call it whatever you’d like, we all participate in them. I got to thinking that wouldn’t it be fun if this weekend’s NHL Draft in Philadelphia played out in the same way, and featured the same cast of outlandish characters that we experience when you and I get together at the pub for our annual regular season or playoff hockey draft. 1. Last Minute Bails – Sure, things did look good for the NHL as of Thursday when all 30 participants -- including six first-timers, sounded committed and ready to go. But, it never works out that way. Instead, this year’s NHL Draft has been reduced to 25 guys because Doug Armstrong is stuck at work and can no longer make it, Steve Yzerman’s kid has a soccer game so now he won’t be there either, Glen Sather wrote down the wrong date and thought it was next Friday, and newcomer Brian MacLellan just didn’t show up and nobody knows how to get hold of him. Also, Dale Tallon and David Poile have decided to pair-up because they couldn’t afford the entry fee on their own. After Craig MacTavish ends up drawing ‘1’ once again, everybody starts yelling ‘fixed’ and cracking Nail Yakupov jokes. Holding up similar slips of paper, Brad Treliving and Marc Bergevin are embroiled in a debate over who has ‘6’ and who actually has ‘9’. Similarly, Bryan Murray is really confused about how he ended up drawing ‘91’. Ken Holland is pouting. He rips up his paper with '24', complaining that he, "Never, ever gets a high pick." Jim Rutherford, the unlucky recipient of ‘25’, is grumbling that there are too many guys and that he has time to go home, mow the lawn, walk the dog and still make it back in time for his first pick. 4. The Hilarious First Name Switcheroo – With 7th pick, an amused and giggling David Nonis announces he will take Nicole Richie. That, of course, is greeted by a spattering of chuckles and a few predictable remarks such as, “I can’t believe you took her over Paris Hilton” and “Don’t you mean Lionel Richie?” Of course, there’s always that one guy, who thinks a gag that wasn’t that funny the first time will somehow be funnier the second time. Sure enough, at No. 17, a snickering Stan Bowman states that he will pick Alyssa Milano. LOL. Not. 5. Steal of the Draft – It happens at least once every draft and when it happens to you, there is no place to hide. When it gets down to Doug Wilson’s pick at No. 21, there’s a long delay. As everybody grows restless and impatient, “Hang on, hang on, just one more minute,” begs Wilson as he flips through a bunch of bookmarked/highlighted pages in his Future Considerations Draft Guide and scans his handwritten draft list one final time. Finally, he confidently announces that he will take the “steal of the draft” in Brendan Perlini. But, um, there’s one problem. Perlini was already taken over a half-hour ago by Don Maloney at No. 8. Oh, crap! Between all the guffaws and sarcastic remarks, Maloney is left wondering if he took Perlini way too early and Wilson -- a combination of embarrassed and flustered, panics and selects Thatcher Demko, then orders another drink. I suppose it’s a stretch that any of these things will actually happen but you never know. I’ll be watching just in case. Considering a make-believe player was once selected by the Buffalo Sabres, I like to think there’s always a chance. From A to Z: A Calgary Flames Draft Primer (Part 1) - Alberta, Button, CBA, Drury, Erixon... it's my A-to-M look at the Flames not-so-successful but still colourful draft history with some current stuff mixed in that will have you laughing, and sometimes crying. From A to Z: A Calgary Flames Draft Primer (Part 2) - NHL-CHL Transfer Agreement, One, Predators, QMJHL, Rangers... it's my indispensable N-to-Z look at Calgary's draft history in which you'll learn lots of things you never knew. 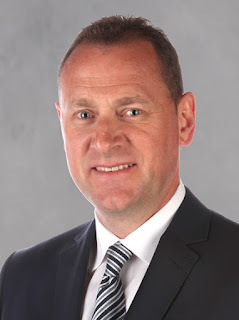 Is Brad Treliving ready for his first draft as a NHL general manager? You betcha. "We're excited where we're at right now," said Treliving on Monday, as he looked ahead to a NHL Draft weekend that he predicts could be one of the busiest of all-time. "Picking fourth, five picks in the first three rounds, we've got a plan going into Philadelphia. We'll see how things unfold over the next week." Now he's been involved in the draft before. As assistant GM in Phoenix the past seven years, he was part of the Coyotes decision-making brain trust, but it's one thing to be one of the voices around the table, it's quite another to be the voice at the podium. "I'm excited because this really starts the time that you can help build your team," Treliving said. "This is about getting better and it starts at the draft with the picks we can make and we'll see what other things we can do both around the draft and leading into free agency." Just like names engraved on the Stanley Cup, every Flames draft pick this Friday and Saturday -- good or bad, will be permanently etched in the annals as a 'Treliving pick' and will be forever attached to his name in the same way Johnny Gaudreau (and Mark Jankowski) will always be linked to Jay Feaster, Dion Phaneuf (and Greg Nemisz) are associated with Darryl Sutter, and Derek Morris (and Rico Fata) will forever be tied to Al Coates. 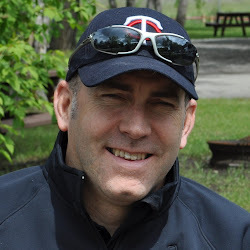 For his sake, as well as the anxious Flames fan base, you just hope it goes better than Doug Risebrough’s maiden voyage at the draft table in 1991 when the then-rookie Flames GM started off with the dubious 1-2 punch of Nicklas Sundblad (19th) and Francois Groleau (41st). "We've spent a lot of time in the last several weeks with a number of the young men, both at their place and we've brought in a number of players," Treliving said. "We've poked, we've prodded and as we've told them, this process isn't created to make them uncomfortable but these are very, very important decisions." Hired two weeks after the Flames season ended and just five days before the Abbotsford Heat were eliminated, much of Treliving's two months on the job have been spent doing indirect reconnaissance. e.g. Assessing the state of the organization's personnel through talking to others. "It's been educational because a lot of them, I didn't know as people. I only had a view of the player," Treliving said. "What I've been trying to pull out of all of them, outside of their opinion on (the player), is tell me about the person." Along the way, he's been able to identify areas of depth (none) and areas of need (every position) and now that his front staff has been rounded out and coach Ryan Huska has been hired for Adirondack, it's time to turn his focus to the player roster. 1. Will the Flames Trade up to No. 1? It's no secret the Flames brought Aaron Ekblad to town a couple weeks ago to get to know him better and they didn't do so hoping the highly regarded Barrie Colts defenceman slips to No. 4 as the odds of that happening are extremely slim. So you know trading with Florida to get that top pick is something Calgary has seriously looked into. The good news for the Flames is due to the comparable quality of the other prospects that make up that consensus top four -- Sam Reinhart, Sam Bennett and Leon Draisaitl – each of whom has been spotted ahead of Ekblad in some mock drafts, the package it will take to move from No. 4 to No. 1 won’t be the same king’s ransom that will be required from other teams such as Toronto to move from No. 8 to No. 1. The bad news is you're still going to have to cough up something of significance to entice Florida GM Dale Tallon to surrender that top selection and while he may be bluffing, he’s essentially said if you want Ekblad, you’ll need to trade with the Panthers to get him. That being the case, is former 13th overall pick Sven Baertschi -- given his declining stock, enough, if Treliving has deemed the chagrined Swiss left-winger expendable? And if not, how big must the package be? Perhaps you also need to add in a veteran that's part of the current picture but not necessarily part of the big picture. Jiri Hudler comes to mind. But to jump three spots, how much is too much? 2. Do the Flames Draft Nick Ritchie? The legend of Nick Ritchie continues to grow. It's fascinating how his stock continues to rise even though it's been over 10 weeks since the hulking 6-foot-3, 230 pound Peterborough left winger last played a hockey game. Mock drafts are certainly the fashionable thing to do these days – a new one comes out every day. In fact, I may be the only person that hasn’t got caught up in the fad (I was also a late adopter of the Rubik’s Cube.) Interestingly, it was this past weekend that for the first time, I saw a mock draft from Sportsnet that had Ritchie going third overall -- first time I’ve seen him crack the top three. Kings win, Big Guys Are In – Everybody likes to copy success -- especially around Hollywood and with LA winning the Stanley Cup with a team that featured only three players shorter than 6-foot-1, Big is the New Blue(print) for NHL clubs to follow and Ritchie, the draft's premiere power forward, fits that mold to a tee. Draft Pundits Are Bored - In non-playoff markets, which was all of Canada except Quebec, draft conversation starts early. After a long winter/spring of constantly debating the order that Ekblad and the two Sam's will go, it's only natural that boredom eventually creeps in and you start hearing other names inserted into the mix. First it was Draisaitl -- which by all accounts is legit, but now you also see Michael Dal Colle, Ritchie, Jake Virtanen, and even speedy Nikolaj Ehlers hovering around that top five. The Secret is Out – Maybe Ritchie was every GM's secret pick until it was realized that if every GM had him as their secret pick, then... it's... not so much a secret any more. So, perhaps he's just now settling into where he should have been ranked (and NHL teams had him secretly ranked) all along. GM Smoke-Screen - The bigger you can make teams think your 'A' group is, e.g. If you make it public that you like eight guys, that impacts offers you might get from teams looking to trade up. Or, maybe you're trying to throw other teams off the scent of that one particular player you're pursuing. Either way, we know this is the time of extreme gamesmanship among GMs and Ritchie may be a mere pawn in this game. 3. Can Calgary add a Second 1st Round Pick? By now we're all familiar with Brian Burke's lack of patience. Strikes me as a guy that repeatedly presses the walk button while waiting at a cross walk or will promptly lay on the horn if you don't step on the gas the instant the traffic light turns green. Given his already-stated desire to hasten the rebuild, the best way to do that is to add in as much premium talent as you can “right here, right now” as Sammy Hagar would say. That means adding another high-upside first round talent this draft to go with the player the Flames will already by choosing at No. 4. Last year, seven players stepped right into the NHL, which was unusually high. I would not be surprised if this season we see the fewest players step immediately into the NHL since 2007 when only Patrick Kane, Sam Gagner and David Perron made the jump. But that's just fine with the Flames. The million dollar question is what will it take for Treliving to fandangle an additional top 30, or top 20, or ideally another top 10 pick, especially considering how coveted those first round picks are. One obvious team to look at is the New York Islanders at pick No. 5 -- where Ritchie could be an 'as well as' pick instead of an 'instead of'. While for the Flames, players two years away is not a concern. It's not the route the perpetually rebuilding Islanders are looking to go at this point as they'd rather add an established player that will help them contend right away. However, what assets would the Islanders be asking for and are the Flames a match personnel-wise? And even if they are, is the price too steep? 4. How will the Flames get to the Salary Cap Floor? This could end up being trickier than it sounds. According to CapGeek.com, the Flames need to add $13 million in salary in order to get to the salary cap floor. RFAs likely to be resigned by the club like Joe Colborne, Lance Bouma, Joni Ortio, Paul Byron and Ben Hanowski will gobble up a portion of that but there will still be a big chunk of money that needs to be spent. Johnny Boychuk, Bos - The Bruins are right up against the salary cap ceiling and that could force them to reluctantly part with someone like Boychuk, who has one year at $3.4-million left on his current contract. Michael Ryder, NJ - The Devils are also closing in on the cap and Ryder has one more year left at $3.5-million. If NJ opts for Damien Brunner in their top six, perhaps Ryder is a guy they move. Bryce Salvador, NJ - An aging blue-liner with one more year left at $3.2-million. An option in addition to buying out the veteran could be moving him to create cap space for younger and less expensive depth defencemen. Ideally, if you're Treliving, you’re looking for a player with limited term remaining – preferably just one year or two years at the most. With new and much richer deals coming in 2015-16 for Mikael Backlund (I examined if he might command $5-million), TJ Brodie as well as Curtis Glencross and Karri Ramo if they remain with the team, the salary floor will be less of a concern then and Calgary won't want to be carrying around too much dead weight in the form of other team's inherited bad contracts. The other option is to sign a UFA or two to gobble up some of that extra loot but that’s not easy either. With the ability of these veteran players to pick their situation, most UFAs are looking to join a team that will be a Stanley Cup contender and are not lining up to sign on with a team in the throes of a rebuild. Treliving was frank on Monday when it came to discussing the UFA market. "Free agency does not cure your ills. There are going to be things that we are going to look at, that could help us, but this isn't a situation where we're waiting until July 1 to cure all our needs." While it still makes no sense to me for the team or the player for Mike Cammalleri to sign a long-term deal in Calgary, if he doesn’t get what he hopes on the open market this summer and the Flames are willing to offer him a fat one-year deal for $7-million, maybe that’s the best solution for all. Such a deal gets Calgary to the salary floor, Cammalleri stays with a team and in a city he’s comfortable with -- for now. A side benefit for Cammalleri is rather than guessing who is going to be a contender in July, he instead puts himself in a position for to be shipped to a team that turns out to be a contender in March when the Flames get a second chance to do what they had hoped to do last year and flip him for a draft pick. 5. How Does Treliving Rate the Flames Prospects? You have to feel for Treliving. It has to be awfully difficult assessing player personnel without much first-hand knowledge and thus doing so based mostly on the opinions of others and only what you've seen from across the ice when you were far more focused on your own organization. Now Treliving did exit interviews in Abbotsford when their season ended but he had been on the job less than a week at that point so it must have been all a blur. Also, Heat coach Troy Ward is no longer with the organization so that conduit has been severed..
As an observer from afar, Treliving is familiar with most of the Flames players – on the ice, but he admits he doesn’t know them very well off the ice. Yet. "I haven't had an experience with any of the players, which is odd. We've done a few deals with Calgary while I was in Phoenix, but they're not here anymore," Treliving said. He also reiterates that the past is the past and all players are starting with a blank slate. Bottom line is he wants to give all players an equal chance to make a first impression on him – but that’s only possible if they’re still Flames property come training camp. Between now and then, trades, qualifying offers (RFA) or contract offers (UFA) tendered versus not, will give us a glimpse into where guys currently sit on the depth chart, in his view.